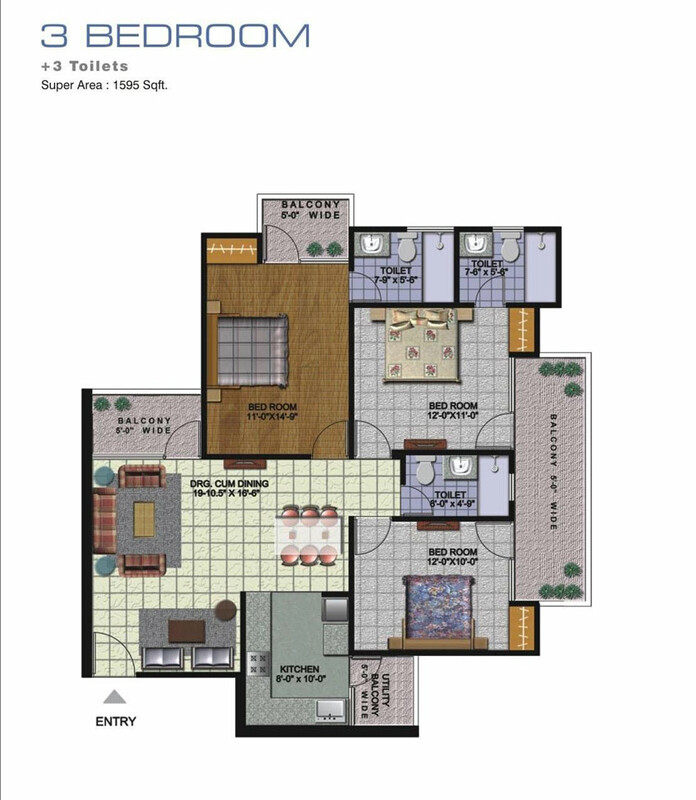 Amrapali Golf Homes in Noida Extension is one of the best project of Amrapali Group with luxurious home in a prime location with modern amenities and a comfortable lifestyle. 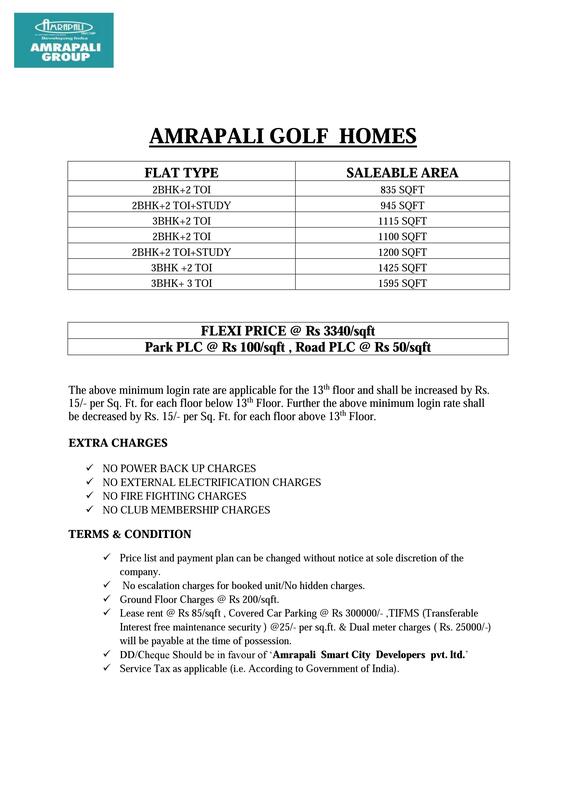 Amrapali Golf Homes Noida Extension offers 2 and 3 bedroom Apartments and offers the best and the highest standard of living in all respects. 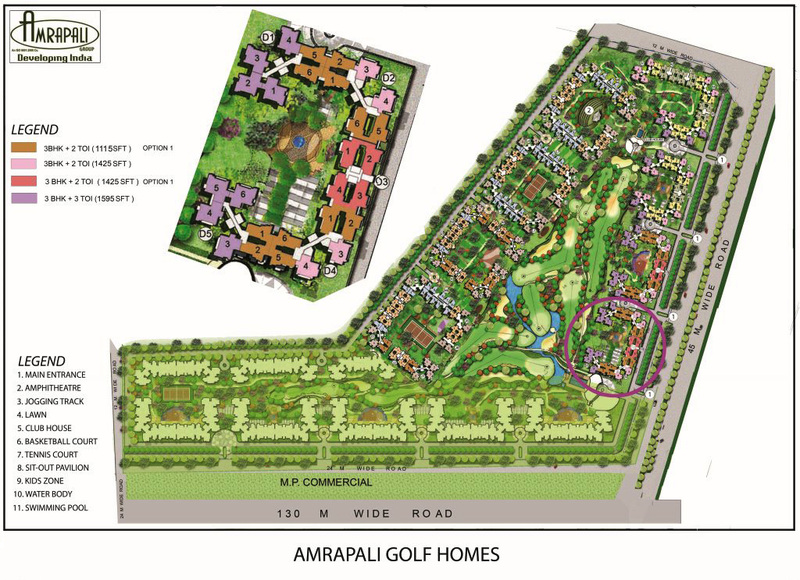 Amrapali Golf Homes has excellent amenities such as Swimming pool, Kids pool, Gymnasium, Green club with Sports, Health, Open Amphitheatre, Auditorium, multi cuisine Restaurant, Leisure and Entertainment Facilities and surrounded with water bodies. 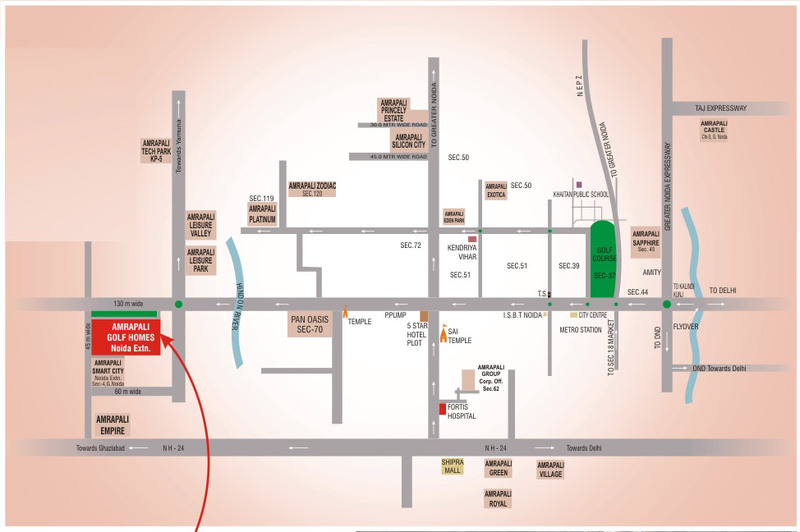 Focusing on Greater Noida, Indirapuram and other East Delhi locations, the Amrapali Group has completed projects spread over more than 100 acres. 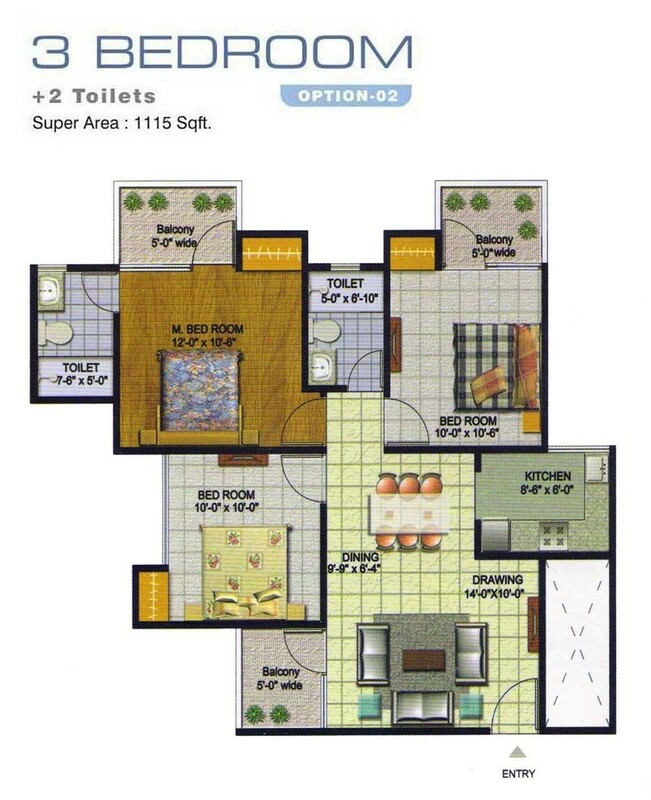 What makes the Amrapali group stand out is its steadfast dedication to quality and efficient service. Established by Mr. Anil Sharma, a civil engineer from IIT Kharagpur and a former government employee, Amrapali is run by a group of highly competent engineers and over 50 professional and 150 supervisory-grade employees. Amrapali understands the importance of quality and ensures the best of technology, planning, design and construction for all of its projects. 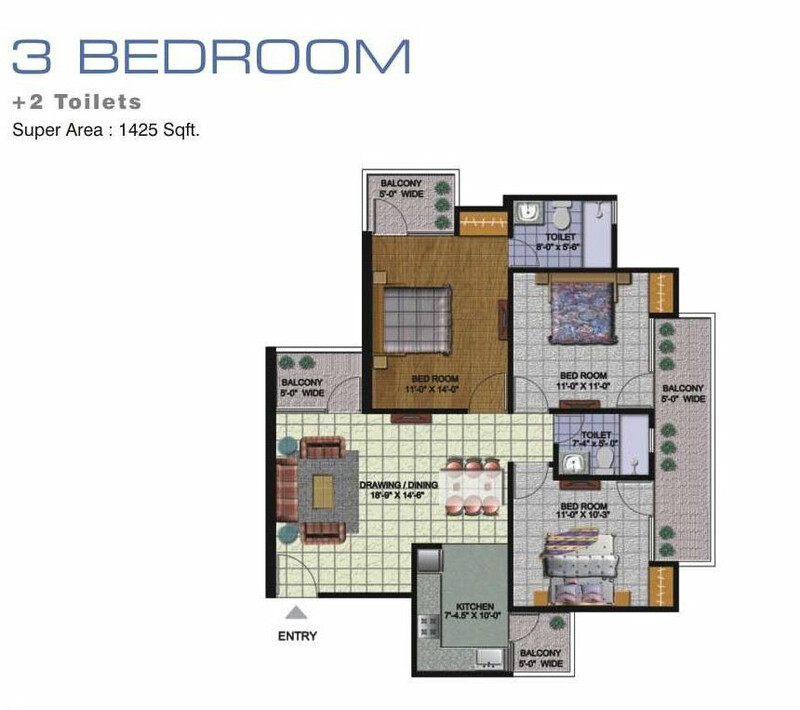 2 Bed + 2 Toilet - Saleable Area: 835 Sq. 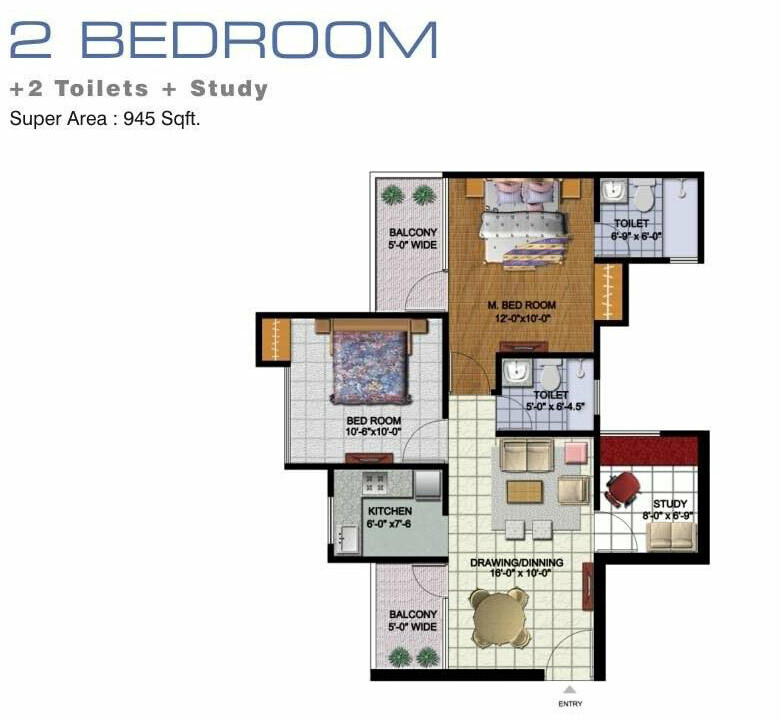 Ft.
2 Bed + 2 Toilet + Study - Saleable Area: 945 Sq. 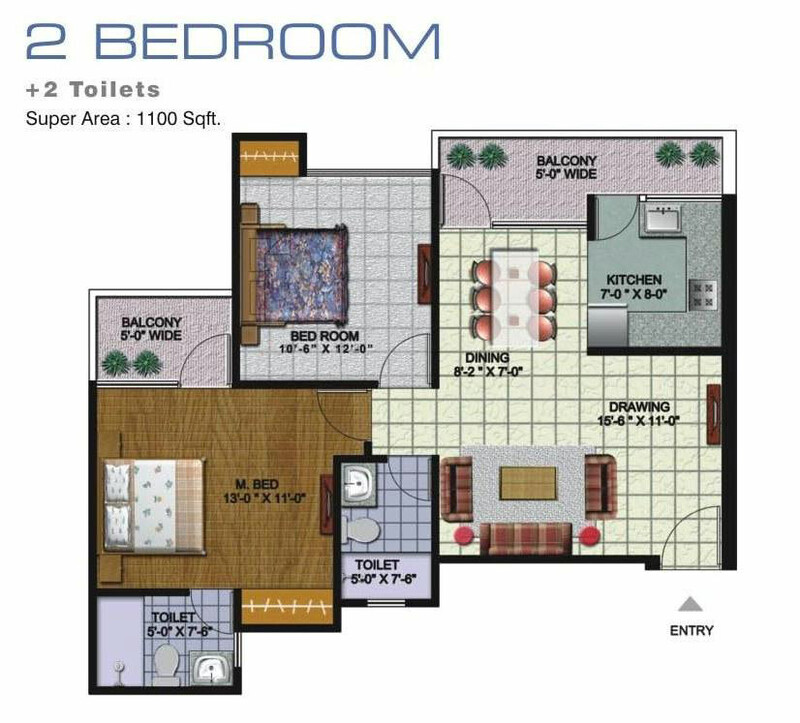 Ft.
2 Bed + 2 Toilet - Saleable Area: 1100 Sq. 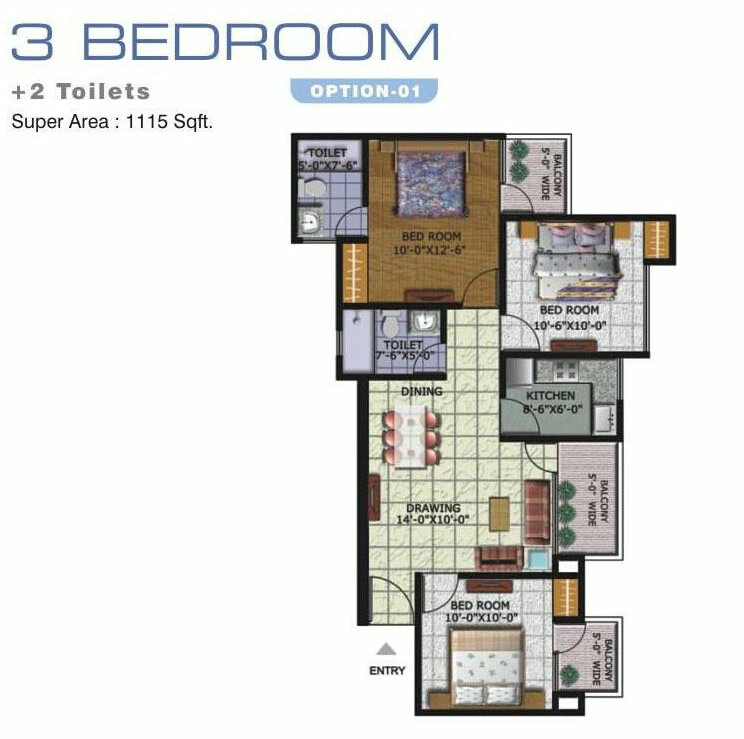 Ft.
3 Bed + 2 Toilet - Saleable Area: 1115 Sq. 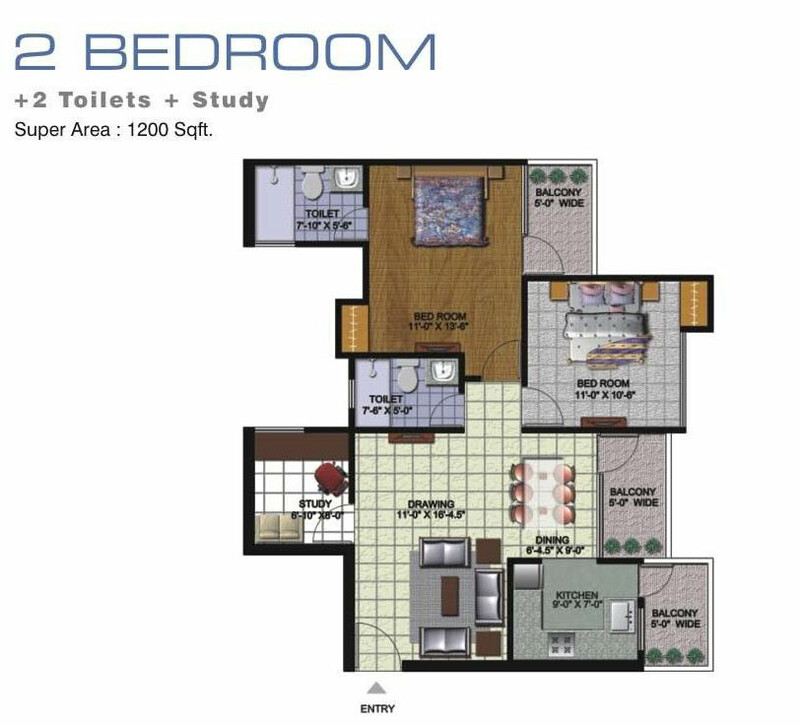 Ft.
2 Bed + 2 Toilet + Study - Saleable Area: 1200 Sq. 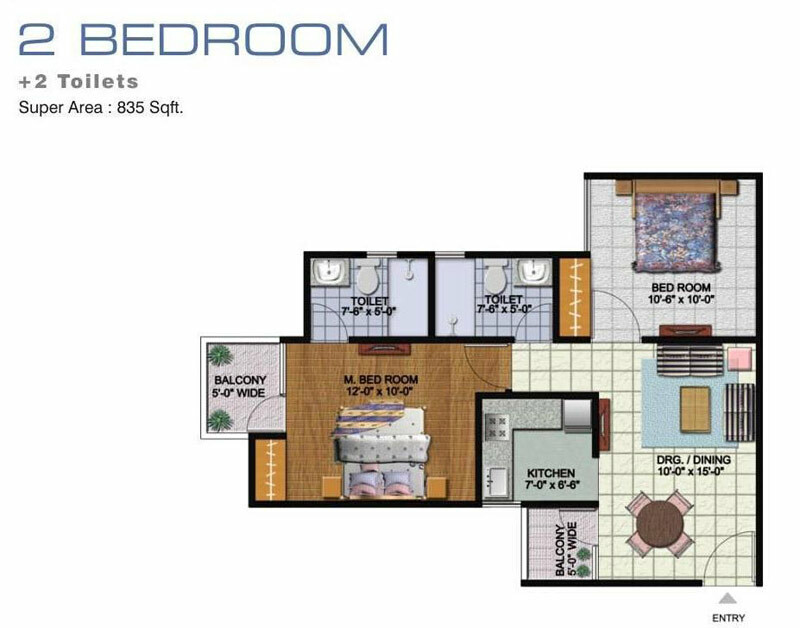 Ft.
3 Bed + 2 Toilet - Saleable Area: 1425 Sq. 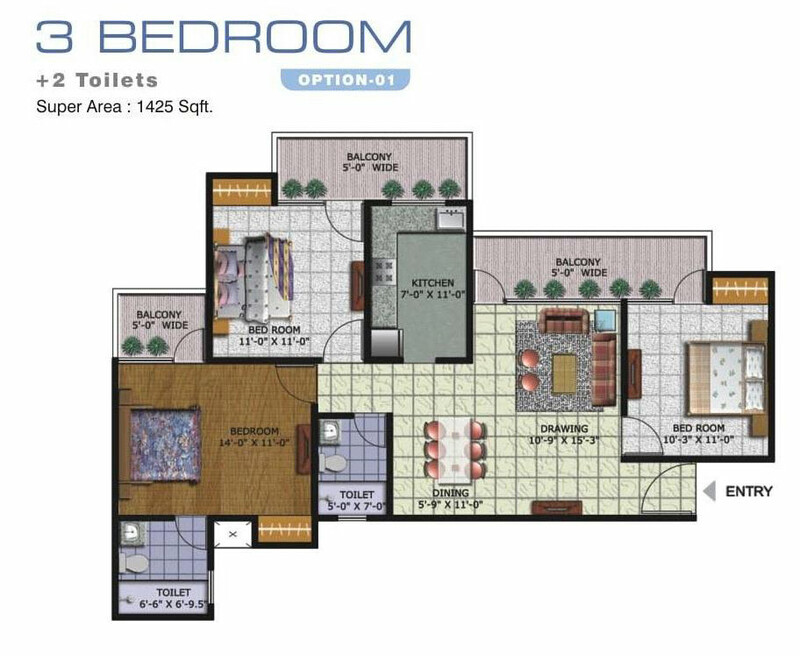 Ft.
3 Bed + 3 Toilet - Saleable Area: 1595 Sq. Ft.
An age old trusted name with 13 years of professional expertise. One stop shop to understand your real estate needs. Backed with 100 + experienced & skilled professionals. More than 20,000 + satisfied customers. Associated with more than 50+ developers sold more than 100 projects. Most admired real estate company by Govt/PSUS/Defence employees.